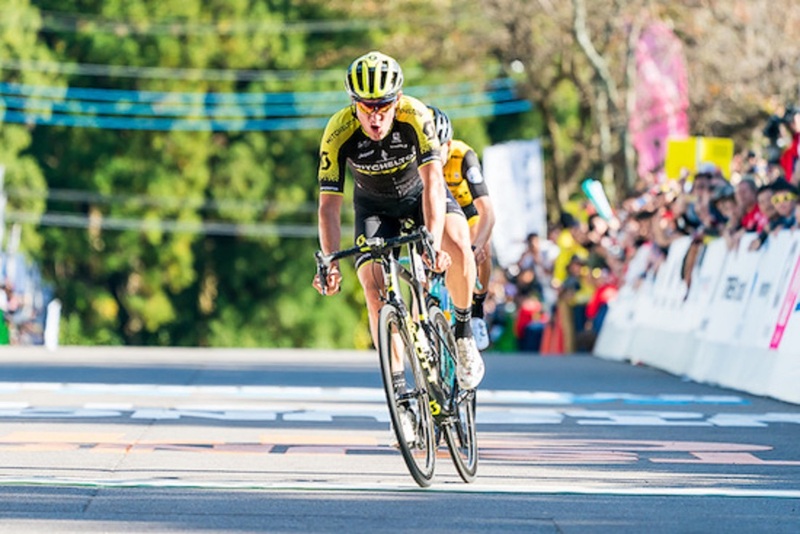 After finishing on the podium in third place back in 2016, Robert Power secured the win in style in his last race for Mitchelton-SCOTT at the Japan Cup today, attacking out of the leading group on the final lap before sprinting to victory. Well placed alongside teammate Jack Haig at the front of the bunch as the race came back together over the final circuits, Power stayed attentive as the key attacks went and formed part of a leading group of six before accelerating clear with Antwan Tolhoek (LottoNL-Jumbo) on the last climb. Gaining a significant gap over the chasers, Power and Tolhoek hit the drag up to the line together with Power coming around the Dutchman to take an impressive win from the two-up sprint and wrap up the season on a high. 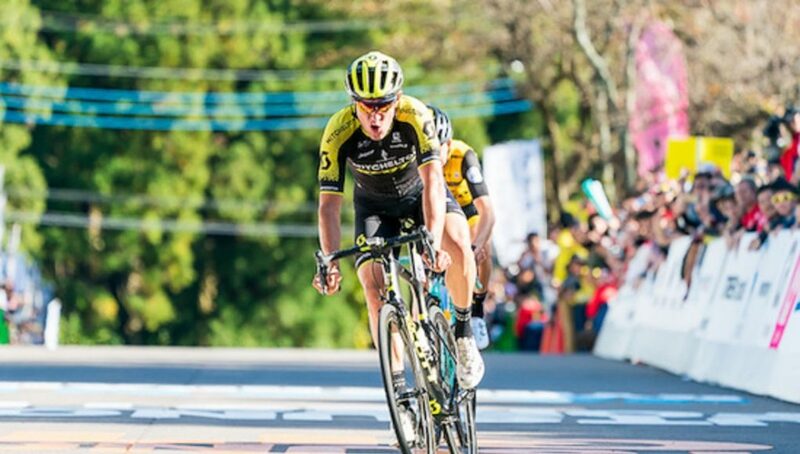 A beautiful sunny Japanese morning welcomed the riders to the start line for 14 x laps of the 10.3-kilometre circuit around Utsunomiya Forest and it didn’t take long for an early break to form with three riders up the road after half an hour of racing. By the halfway point the trio held around one-minute 30 seconds on the bunch and so it remained until three laps to go when the group split over the climb and accelerations out of the bunch brought the race back together again. Both Haig and Power were well positioned towards the front, but it was Power who found himself on the front foot as part of a six-rider attack going into the closing 20 kilometres. It was a strong move and Power quickly realised that this could be the chance as he attacked the final climb alongside Tolhoek, splitting the group and gaining around 40seconds lead as the pair sped towards the finish. Power played it smart in the final, coming around Tolhoek inside the last kilometre to take a convincing victory with a powerful late surge. “It’s a special win because it’s my last race in Mitchelton-SCOTT colours and I really wanted to come here and do my best to say thank you for the last few years.